The 5th Annual Kids Food Festival takes place this weekend in NYC! Sunny and I are pretty excited to check it out. Looks like they have lots of fun activities including hands-on cooking classes, performances and a scavenger hunt. I signed Sunny and I up for the 1:00 pm cooking class with Chef Daniel Holzman, founder of The Meatball Shop. We will be making Meatball Smash with Spaghetti + Pesto Sauce. Stay tuned! Tickets are $25 but that includes a spot for two adults and a kiddie. 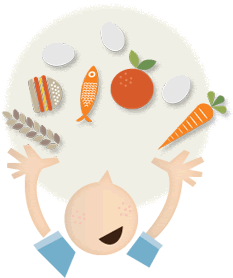 The Kids Food Festival welcomes families with children of all ages, interested in learning about balanced food choices in a fun and engaging environment that empowers children to make these decisions for themselves! FREE GENERAL ADMISSION. Stop by Bryant Park, located between 40th and 42nd Streets + 5th and 6th Avenues, from 10:00 am to 4:00 pm to join in on the fun!